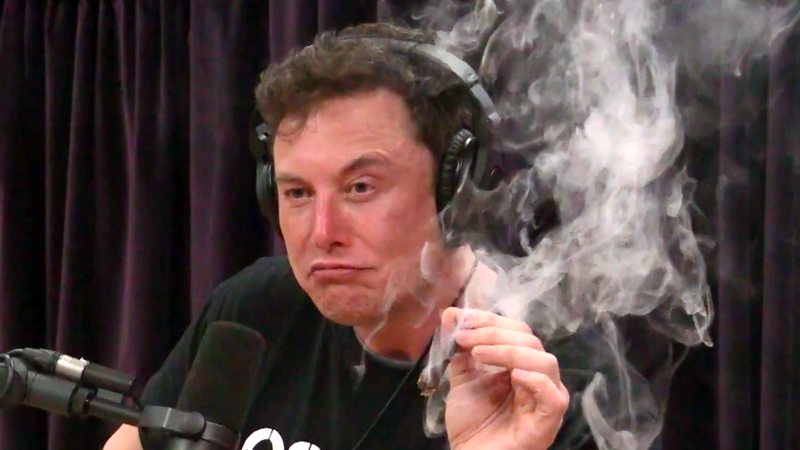 In what seems like forever ago but was apparently September, Musk smoked what looked like weed during an on-camera interview with podcast host Joe Rogan. Soon afterward, a U.S. Air Force spokesperson told the Verge that it was determining “the facts and the appropriate process to handle the situation,” contradicting reports that the military branch had launched an investigation into the incident. In 2014, NASA announced that agency astronauts would fly to the International Space Station (ISS) aboard SpaceX and Boeing spacecraft. “Turning over low-Earth orbit transportation to private industry will also allow NASA to focus on an even more ambitious mission—sending humans to Mars,” stated NASA Administrator Charlie Bolden at the time. Since 2012, SpaceX has flown more than a dozen unmanned supply missions to the ISS, but neither company has carried NASA astronauts yet. Last month, NASA listed manned flights from SpaceX and Boeing as scheduled for June and August of next year, respectively. As a use of government resources, it seems incredibly wasteful for NASA to launch such an extensive inquiry over a single puff of smoke. It also, however, feels entirely in line with the agency, which has cultivated a conservative public image as it pursues the strange and perilous business of launching human beings into the void. Updated: This post has been updated with direct comments from Boeing and SpaceX.